It's hard to believe that I've reviewed hundreds of books for this blog but never the one that had the most influence upon creating it. Twilight was the perfect book for me. I don't mean that it is a perfect book. It is not. But when I read it, it was the perfect book at the perfect time. A completely new genre with characters I loved that allowed me to escape an otherwise difficult year. It is difficult to review Twilight alone since the other three books are so ingrained in my mind, but I'll give it a try. The first thing about Twilight that grabbed me was Bella's voice. She came to Port Angeles in a dark mood. She had a sarcastic, negative comment about everyone and everything, including herself. So much like me as a teenager, and to an extent, as I still am. Bella's voice felt real. I wish I could say that I am as selfless and kind as Bella, but alas I am not. I did admire the fact that one of her first thoughts about the Cullens was pity that they, like her, were outsiders. It's an odd contrast with her earlier negative thoughts, but somehow it works. We continue to see that selflessness displayed throughout the book. Her dark mood goes away but is replaced by a mixture of angst and stubbornness that also fits the character. Edward didn't attract me right away. Rather he intrigued and confused me. He was a mixture of kindness, arrogance, and abrupt angry mood swings. (The mood swings didn't make sense until I read the excerpt from Midnight Sun). But as time passed, I couldn't help but fall under Edward's spell. He's the bad boy who really isn't. The romance between Bella and Edward is so all consuming that it's always been a little silly. Yet it reminds me of the saying that it's easier to convince people of a big lie than a little lie. Bella and Edward's love is so epic, so high stakes, so unbelievable, that I was totally swept away. I even squealed at the admittedly cheesy "Stupid lamb, sick masochistic lion" line. It's escapist fantasy. Who wouldn't want to be so completely passionately in love with someone else? And then there are the Cullens. Edward's family adds depth and variety to an otherwise normal vampire story. After reading Twilight, I loved each character. I thought I knew them well, although we learn so much more in the other books. It's amazing that in a short time period, Alice became a friend, Carlisle a mentor, Rosalie a frenemy, Esme a motherly figure, and Jasper and Emmet two brotherly guys. Stephenie did a great job at emotionally connecting me to the characters even when I didn't know all their backstories. I particularly loved that the family was so big and had such diverse personalities. It was an added level of fun. Speaking of backstories, the world building in Twilight was fabulous. Twilight was my first vampire book, so I had nothing to compare it to. Even though I've read dozens of vampire books in the past several years, I still really like Stephenie's vampire mythology. I particularly like that she did not feel obligated to stick to traditional vampire lore such as burning in the sun or being vulnerable to stakes. The world-building in Twilight is more than vampire lore, however. It's the history of a family. Carlisle and Edward's pasts were the most fascinating. I loved how we learned about Carlisle's life through a tour of the paintings in his office. And I loved the subtle power of the line by Esme that her baby had died and she'd jumped off a cliff. The big climax of the James' chase was very exciting to me when I first read it. I was terrified that Bella was going to die (despite knowing full well that she wouldn't) and nervously flipped the pages as fast as I could. Several years later, the James plot arc is the least interesting part of the story, ironically, save James' role in discovering Alice's past. And that's telling of my relationship with Twilight. It is all about the characters - their personalities, their back stories, and the vampire lore. The plot is merely a raft that carries me along that character discovery river. My review would not be proper if I didn't throw in a few deserved criticisms of Twilight. The writing is definitely not the best. I chalk that up partly to it being Stephenie's first work. While she'll never be an author of literary quality, her later books are definitely better written. I also blame the awkward writing and frequent word repetition on poor editing. I find it hard to believe that an editor at one of the big publishing companies let so many easy to fix issues slide, but evidently someone dropped the ball. I wonder whether they didn't expect it to be such a big hit so didn't put that much effort into editing. Aside from word choice, I disliked the quickness of the pacing. Part of that is a dislike for insta-love. Mostly though, I was irritated that the book started out at a great speed - quickly but not too quickly introducing the paranormal element. Then just a day after Bella and Edward declared their love for each other, they really were ready to die for each other when James showed up. I wish their relationship had weeks or months of build-up rather than a day. When my brain points out the problems with Twilight, my more irrational side sticks its fingers in its ears and says "La, la, la...I can't hear you!" If Twilight was the twentieth paranormal romance novel that I'd read or if I'd read it on a different day, it's quite possible that I would be part of the crowd of Twi-haters. But for whatever reason Twilight spoke to me in a way that no other book has. And for that reason, I could care less about all its flaws. It is the perfect book. Totally agree with your review, Alison! I always finding myself explaining why I love the book and most of its series (still have a very sore spot for Breaking Dawn and refuse to see the movie). Before Twilight, I was deathly afraid of vampires, but Stephenie changed all that and made them very human. I loved her divergent angle to the vamps and the philosophical discussion she brought up in the first three books. I also loved how Edward was the one who was resilient to their relationship while Bella was all in right from the start. I know I say this every time,but I think it's worth mentioning. Stephenie isn't a great writer. She's a great storyteller. There's a big difference. Twilight has some wonderful backstories. I love how we get to discover each person/vampire in turn and not all at once. I feel like a small piece of the puzzle settles into place the more I learned about each of the characters. 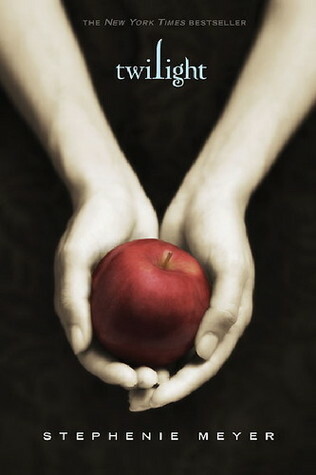 Twilight brought me back into reading young adult books. I love that that are some much depth and other characters in these books. I do admit to the cheese factor but overall a addition to the vamp world. I do agree with the her first book and repition. LOL! I never reviewed Twilight as well! But I loved this book and glad that my mom got me to read them. "If Twilight was the twentieth paranormal romance novel that I'd read or if I'd read it on a different day, it's quite possible that I would be part of the crowd of Twi-haters. But for whatever reason Twilight spoke to me in a way that no other book has. And for that reason, I could care less about all its flaws. It is the perfect book." I'm glad you liked it. When I first read this book I expected too much with all the great great things I've heard about it. So after that I was very desappointed by the story. It was nice but not that nice... I hope you'll like the others too ! I feel exactly the same way. Its so amazing to hear it from someone else. It makes me feel like i'm not alone. Also, the fact that u kind of dislike the james chase scene is so cool because I do too and I thought I was just strange. Even when I watch the movies (which i'll admit are sometimes horrible and definitely not as good as the books) I just fastforward through the chase scene and continue watching through the hospital scene. I think i'd like that part more if they showed how the bella - alice relationship grew like in the book but still. Great review Alison!! Reading your review makes me want to re-read Twilight. I think I'm going to. I feel the same way: it was my first vampire book and it introduced me to a whole new world of reading. I'll never forget the way I felt the first time I read Twilight. I love that you love the series so much!